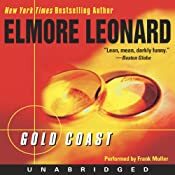 You can now find Frank Muller's unabridged version of Gold Coast at audible.com. interesting article.. I like your take on this matter. Although there are a few points I diverge on though. But I think that clears up a few issues for me personally. Anyone else think so? A stunning freshwater pandora bracelets pearl necklace, made up of uniform white pearls pandora jewelry 7.5 mm in size and strung tiffany jewelry to a length of 18 inches, is truly classic.